Woods posted his first back-to-back top-10 PGA Tour finishes since 2013. 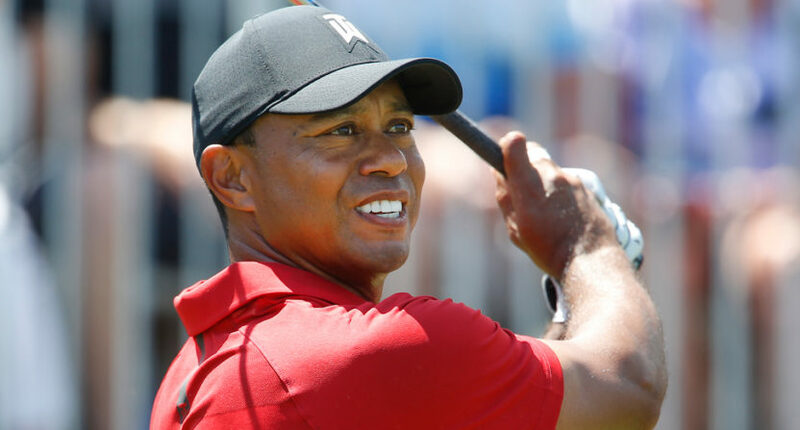 Talk of Tiger Woods as a Masters contender got a major boost this weekend thanks to an impressive run at the Arnold Palmer Invitational, held at the Bay Hill Club and Lodge in Orlando. Woods started the day five shots back of leader Henrik Stenson, and remained five back after a two-under front nine (three birdies and a bogey), but then started a charge. He made birdies on the 10th, 12th and 13th holes to move to 12 under, one back of co-leaders Stenson and Rory McIlroy. However, it all fell apart on the 16th when Woods hit his tee shot into the water, eventually settling for a bogey. He bogeyed 17 as well and finished 10 under, eight shots back of eventual winner McIlroy. Despite the top 10 showing, it was a bit of a disappointing finish from Woods, who made everyone think the impossible was going to happen. Even with major champions Stenson, McIlroy and Justin Rose starting the day ahead of him, Woods made it feel like he was about to turn the board (and possibly the golf world) upside down with just three weeks to go before Masters Sunday. And it might have happened had he not badly pulled that tee shot on No. 16. Tiger shot a 34 on the front nine and birdied three of his first four on the back, sinking putts of 13 feet, 8 feet and 5 feet. Even after all these years and the innumerable ridiculous heaters he’s been on, it was still shocking to watch unfold. It all came unwound at the very end, but like last week’s finish at the Valspar Championship, I’m not sure it matters. Woods has now turned in three straight tournaments where he finished inside the top 15 and is the favorite for the 2018 Masters. We won’t see him again until he tees off at some point on Thursday, April 5 in Round 1 at Augusta National, but he’s planted the seed of belief. That he can not just play well at and contend for a green jacket. But also that he can win it. How about this bunker shot on 12? Another GREAT bunker shot. Another ?. Or this birdie putt on 13? It all added up to an impressive package. And while it wasn’t enough for Woods to win, and nothing is ever guaranteed in golf (especially with how good the rest of the field is), it does have a lot of people buzzing about him. Including many of those who thought he was done. We’ll see how it goes when it comes to Augusta, but this was certainly a showing that will give Woods’ fans some hope.